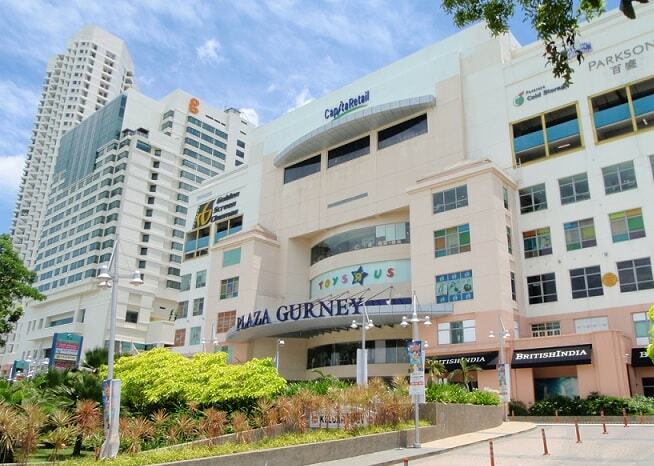 Gurney Plaza is a major shopping mall on Penang Island that caters to an upmarket customer base. Plaza Gurney is one of the biggest and most popular shopping complexes on the island of Penang. The mall is located between Gurney Drive, the promenade to the north of Georgetown and Jalan Kelawei. 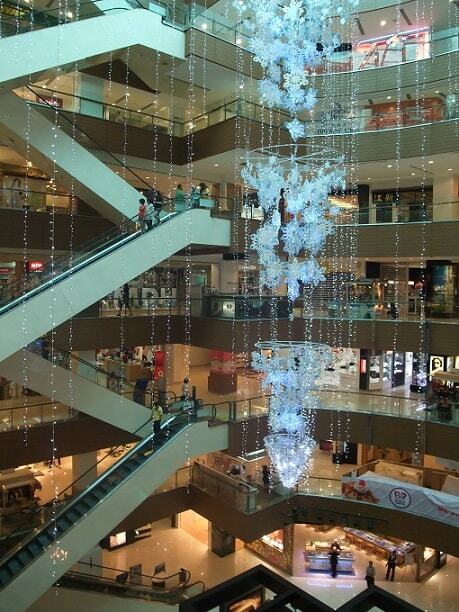 Gurney Plaza contains over 400 stores spread over 7 stories. The lower floors are mainly focused on clothing, the higher on electronics. In the basement you'll find, among others a food court and a Cold Storage supermarket. The mall has a large F.O.S., where you can buy branded clothes for bargain prices. At one of the higher floors you will find an MPH Bookstore where you can buy cheap books. At the left side of the mall, named Gurney Place, you have a number of restaurants with terraces like Coffee Bean & Tea Leaf, Starbucks and D�me. Plaza Gurney's anchor tenant is Parkson. They sell well-established international brands such as Coach, Rolex, Tissot, Omega, ToyWatch, Cerruti 1881, Pandora, Cache Cache, Dorothy Perkins, Fossil, CK Jeans, M.A.C, Kiehl�s and Birkenstock. There is a huge Golden Screen Cinemas Cineplex with 12 screens making this the 2nd biggest GCS in Malaysia after the one at Mid Valley Megamall in Kuala Lumpur. This is located at the 7th floor. In 2008 a new wing was opened to public; adding 150,000sq ft of retail space to Plaza Gurney. Right next to Plaza Gurney you can find the wonderful 5 star G Hotel. This is definitely one of the best hotels at the island, and a perfect place to stay if you fancy a bit of shopping. At Gurney Drive, many celebrities from Asia own an apartment, like the Malaysian movie star Michelle Yeoh, who is known for her role as a Chinese agent Wai Lin in the James Bond movie "Tomorrow Never Dies". Terraces like Coffee Bean & Tea Leaf, Starbucks and D�me. Gurney Plaza is easy to find, every taxi driver knows the mall. You can also go by bus. When you travel from Batu Ferringhi, you take the bus to Georgetown. From the center of Georgetown you take the bus to Batu Ferringhi. Give the driver a notice in advance that you need to get out at Gurney Drive and the driver will indicate when you're almost there so you can press the stop button to get out. Usually you will get out of the bus at the big roundabout. From there it is a 5 minute walk to the main entrance (which is located at the sea side). The supermarket, Cold Storage which is located at the lower ground is also popular due to its imported goods and exclusivity as well. Gurney Plaza has a total of 8 retail floors, including a basement with the supermarket, a food court, and many small eateries and restaurant. 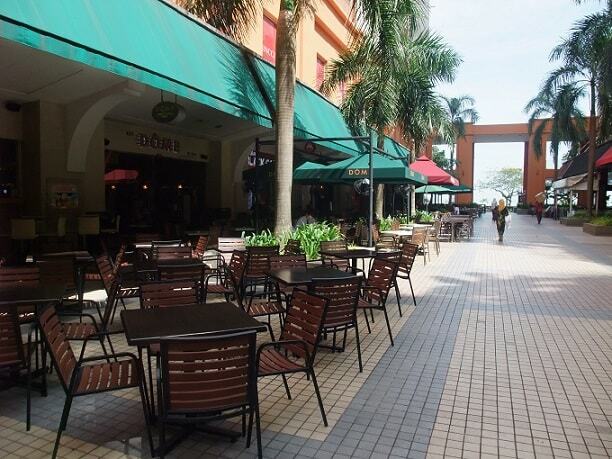 At the left side of the mall, named Gurney Place, you have a number of restaurants with terraces like Coffee Bean & Tea Leaf, Starbucks and D�me.